Appalachian Trail: Gooch Gap to Preachers Rock: month 3! 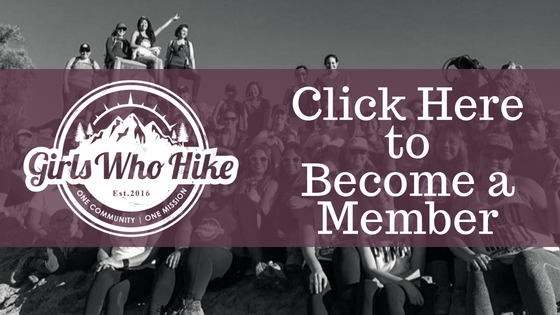 This Hike is led by GWH Ambassador Angela Nouryeh! This is month 3 of my Appalachian Trail series! This month we will section hike over a weekend. This Hike will start at Gooch Gap and hike over Ramrock Mountain thru Woody Gap and go up to Preacher's Rock and then back down to Woody Gap. This hike offers multiple southern views and if it is a clear day, you can see Stone Mountain and possibly Atlanta. Join me on Angela's AT Adventure series for this fun weekend of hikes! Make sure to bring trail snacks, lunch and 3 L of water for each day. Also remember to dress in layers, bring hiking poles and rain gear if applicable. Trail Rating: YELLOW: Moderate hike, well-signed, elevation gain of between 1,000-2,000ft low altitude. Novice hikers welcome! 3L of water required. Trailhead Coordinates / Address: Gooch Gap USFS Road 48 N34 39.130 W84 01.927, approximately 33 miles north of Dawsonville.